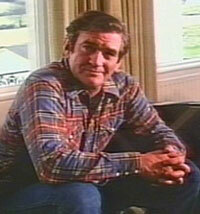 Rod Taylor plays Steve Donegan, an American insurance executive, family man and former Green Beret. The movie, filmed entirely in Ireland, was made for Irish TV and exported to the U.S. It's also known as "An Eye for an Eye" and is based on a novel by Frederick Forsyth, who also penned "Day of the Jackal" and "The Odessa File." Taylor, whose familiar craggy face is more deeply lined than when he played light romantic comedy, is Steve Donegan, an American insurance executive stationed in Dublin, married to an Irish national, with two small children. Joanna Pettet plays the wife briefly, and then as the wife's look-alike, crusading newspaper reporter Candia Leighton, for most of the story. Veteran Irish character actor Cyril Cusack is Dublin city detective Tom Moloney [and] Nigel Davenport is suave and sinister as Gray Harrison Hunt, the ruthless head of the powerful international conglomerate. Donegan's family perishes when a small plane, sabotaged by Hunt's paid assassins, crashes into their seaside vacation cottage. The plane, carrying plans for a new industrial pharmacological process developed by a Hunt competitor, explodes prematurely, accidentally wiping out the Donegans. The briefcase containing the formula survives the crash and fire and becomes the crux of the mystery, as first the other company, then the police, and finally Hunt attempts to get it away from Donegan. He launches his own probe, driven by vengeance, aided by Pettet and in a sporadic affiliation with Cusack. Like "Jackal" and "Odessa," "Innocent" begins slowly, almost leisurely, and builds to a crackling denoument with plenty of wild-and-wooly pyrotechnics. Donegan is an ex-Green Beret and uses his combat savvy, particularly in explosives and demolition, in derring-do action sequences. If there be a fault, it is that the plot wrap-up is a trifle pat, although with a nifty twist ending. Morgan O'Sullivan, co-executive producer for the film, described what its producers tried to do with it. "We felt there were two themes, two questions here," he said. "First, has a man a right to take the law into his own hands, seek revenge? Second, we ask how guilty is the man at the top of this giant conglomerate for the crimes committed by subordinates, and how does the average man bring such a ruthless person to justice?" 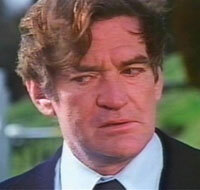 Stephen Vagg's book, "Rod Taylor: An Aussie in Hollywood," tells of how O'Sullivan selected Rod Taylor for the part. Although the character of Donegan was American, O'Sullivan "wanted someone who at least looked European and felt European." 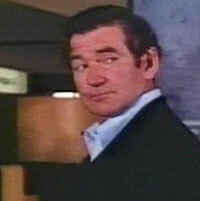 O'Sullivan's wife was a fan of Rod Taylor and suggested him. He is a lovely guy and can be a most charming man in a professional and social setting. We also had great fun making the movie. 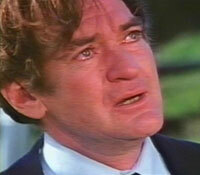 I always through Rod was a great star but what made him special was that he had a wonderful acting talent. I remember a particularly very touching scene scene from the movie after he lost his wife and family -- his expression of grief. Without dialogue he managed to create a compelling moment. I always equate him with Richard Burton. To me they command equal respect as film actors.